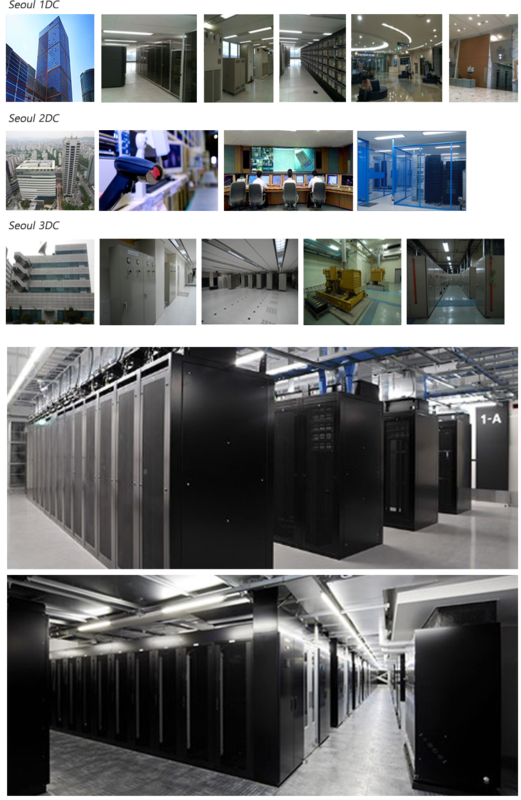 •We operate 11 geographically redundant data centers in Korea(3 spots), USA(2 spots), Japan(1 spots), China(1 spot),Hongkong(1spot), Thai(1spot), Veitnam(1spots),Philippine(1spots) to meet all of your colocation and disaster recovery needs. • We manage over 30000 switch ports,3000 customers and growing in our internal network. • Our network has over 100 Gbps with KT,LG,SK,NTT of capacity and growing. • We are Parallels,GateProtect,Huawei,M cloud Enterprise Service Provider. • We are committed to the highest ethical standards, impeccable customer service, and excellent customer response times. • We want to earn your business as a trusted technology solutions provider.